Children’s short sleeve leotard with attached double layer chiffon skirt. Keeping comfort in mind, this Cotton Lycra® blended fabric is ultra soft, thick yet breathable, and designed to hold color wash after wash. 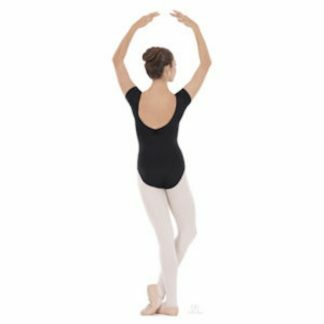 The full front lining of the leotard not only wicks away moisture to help neutralize odors, but keeps little dancers feeling fresh, dry and clean.